Listen in on unfiltered conversations between CCVO President & CEO, David Mitchell and accomplished leaders. Learn about their unique journeys, and their thoughts on current issues relevant to the nonprofit sector. 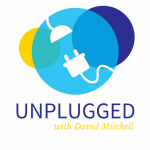 Season 1 of ‘Unplugged with David Mitchell’ includes live interviews with some of our local and national leaders. Unplugged: Stories of Leadership, is a podcast that explores the careers of education and public policy leaders. These “unplugged” conversations with impressive and accomplished leaders concentrate on their unique career paths that each individual has followed as well as, some of the big issues of our times. In conversation with David Mitchell, Keith discusses his unique personal background in education. Beginning from his reflections as a learner in a proverbial two room school in rural Alberta, to his present role as an education leader. Listen to learn more about Keith and his path to becoming the Dean of Bow Valley College’s Centre for Excellence in Foundational Learning. Dr. Keith Seel, CVA, FRSA has a comprehensive background in both governance and social policy issues within Canada’s non-profit sector. Keith is the Dean of the Centre for Excellence in Foundational Learning at Bow Valley College, and was appointed to the Premier’s Council for Alberta’s Promise. He has served as Chair of the Human Resources Council for the non-profit sector, board member of many non-profit organizations for more than 30 years, and has had past appointments to both the Alberta Council of Teaching Standards and the Persons with Developmental Disabilities Calgary Region Community Board. As an author, Keith has been widely published in books and journals. Most recently he was the editor for Volunteer Administration – Professional Practice, a 500-page text detailing the body of knowledge associated with the profession. He co-authored the AVA Statement of Ethics and he is a major contributor to the non-profit management series by John Wiley & Sons, New York. For the same publisher, Keith has written on ethics and its impact on management, and the risks and opportunities associated with commercial ventures by non-profit organizations, governance issues for boards of directors and sustainable development for the charitable sector. Our host chats with the Dean of the Chiu School of Business of Bow Valley College about his fascinating career path including stints in retail, banking and fur trading in Northern Canada! In addition to being a leader in business education today, he is also a very accomplished photographer. Listen to find out more surprising details from David’s personal and professional journey. Dr. David Allwright is the Dean of the Chiu School of Business at Bow Valley College in Calgary, Alberta. David is responsible for growing the credit and credit-free program offerings in the school of business, including online courses, and Regional Stewardship programs. David is also responsible for generating closer ties with industry, and BVC’s many post-secondary partners. He leads a team of 150 faculty and staff who are dedicated to increasing the educational pathways for a diverse population of adult learners, new Canadians, and international students. Prior to joining BVC, David was the Associate Dean of the Bissett School of Business at Mount Royal University and an instructor in Accounting, Strategic Management and Environmental Management at the University of Calgary. David has also taught courses in Environmental Management and Sustainable Strategies in the Master of Science in Sustainable Energy Development program at the Universidad San Francisco de Quito (USFQ) in Quito, Ecuador. David has written numerous case studies and articles on issues concerning sustainability and environmental management. He has also co-authored a Canadian adaptation of a U.S. accounting textbook. David earned a Bachelor of Commerce degree (with Distinction) in accounting from the University of Calgary. He also completed a PhD in Strategic Management from the Haskayne School of Business. David has close to 20 years experience in the banking, retail, hospitality, and oil & gas industries as a controller and general manager. He has worked as a fur trader and store manager for the Hudson’s Bay Company in the Canadian arctic, and administration & investment banking. Additionally he has managed a chain of hotels for a real estate holding company. Elza Bruk reflects about her fascinating experience growing up in Vancouver, as an immigrant to Canada. She discusses her journey and experiences from her post-secondary education and demonstrating her distinctive leadership through advocating for immigration and intercultural advancement for over 30 years. To learn more, feel free to listen to Elza’s distinctive reflections. Elza Bruk is the Dean of the Centre for Excellence in Immigrant and Intercultural Advancement. She has a B.A. from the University of British Columbia and a Masters in Adult Education with a specialty in English as a Second Language (ESL) from the University of Toronto. Elza began her involvement with Bow Valley College since 1986 as Chair of the ESL Department. She has maintained various key leadership roles within Bow Valley College. The common thread throughout her 30 year tenure has been her unwavering commitment to enabling Albertans to achieve their career aspirations. Nora Maclachlan proves how nurses rule the world. She discusses her own career in health, education and nursing. Listeners will be curious to learn more about Nora’s stimulating perspective on why the definition of health has change in our lifetimes. Dr. Cherylyn Cameron reinforces the idea of how nurses have shaped the policy environment in advanced education and our communities. Today, as Dean of two schools at Bow Valley College, she is applying her nursing skills in incredibly imaginative ways. Listen gain more insight into Cherylyn’ s visionary leadership within Bow Valley College’s School of Creative Technologies and School of Community Studies. Cherylyn Cameron, RN, PhD, is the Dean of the School of Community Studies and Creative Technologies at Bow Valley College. She received her Bachelor of Science in Nursing degree from the University of Alberta and a Master of Arts degree in education from Central Michigan University. She received her doctorate in theory and policy studies in education from the Ontario Institute for Studies in Education (OISE)/University of Toronto. Her dissertation, “The Lived Experience of Transfer Students from a Baccalaureate Nursing Program,” won the Best Dissertation Award from the Council for Study of Community Colleges in the United States. Dr. Cameron taught courses as an adjunct professor for Central Michigan University in the Master of Arts degree in education program with a community college specialization. Her research interests include college-university relations, student experiences, transfer from college to university, and the implementation of best practice guidelines.